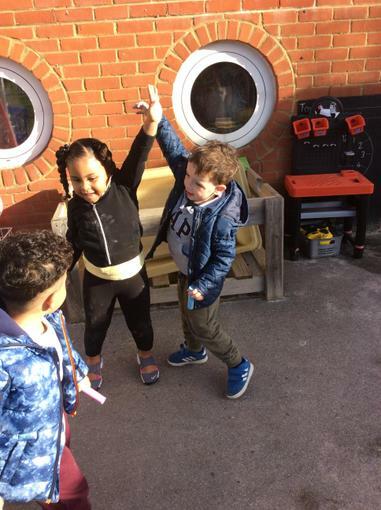 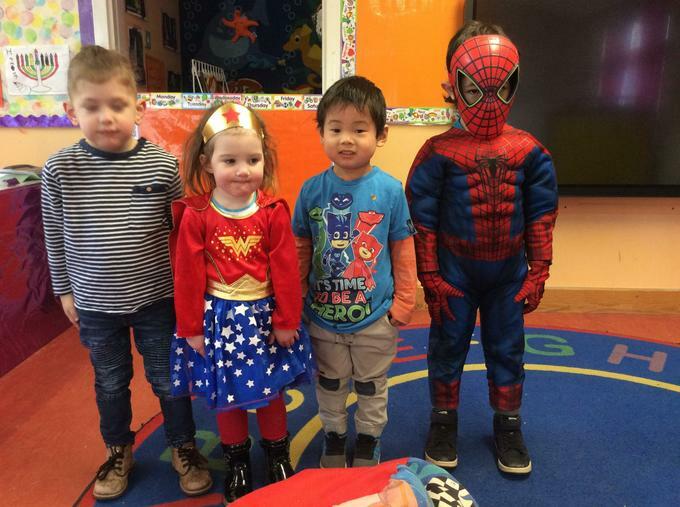 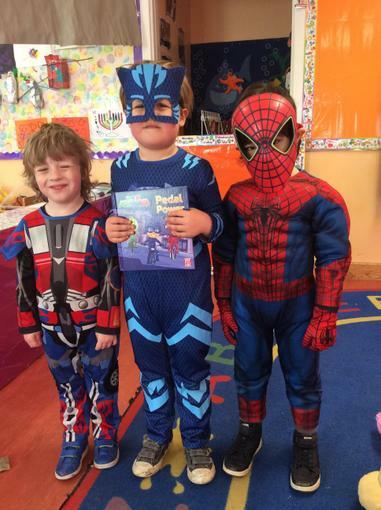 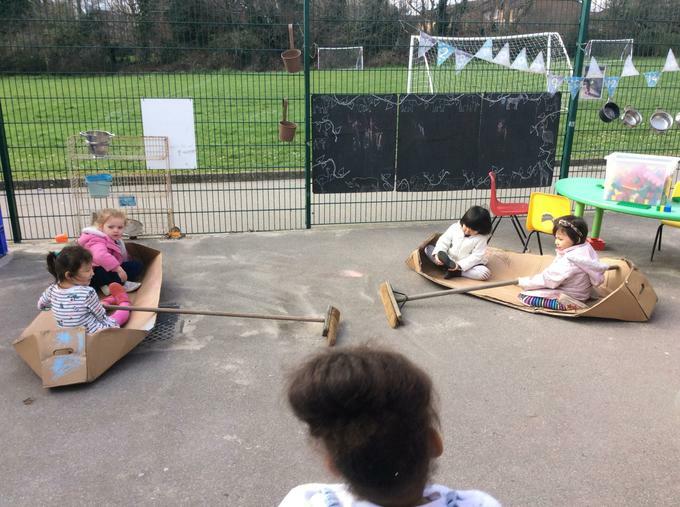 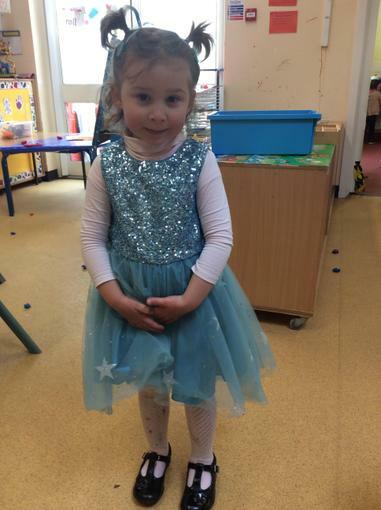 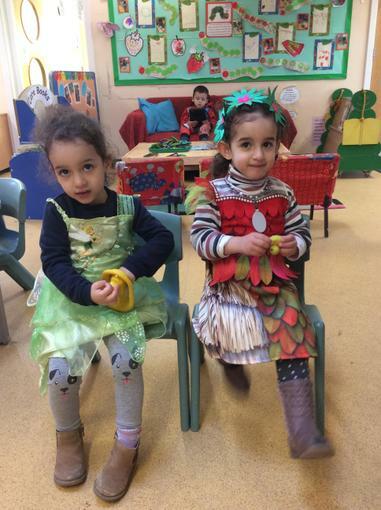 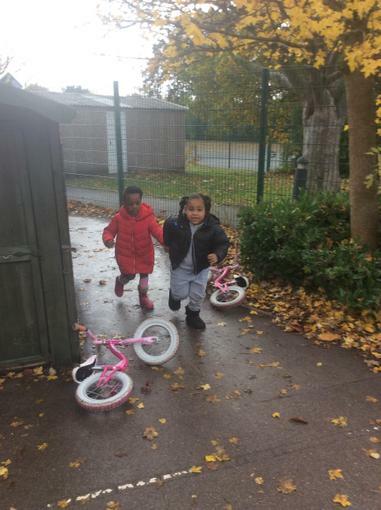 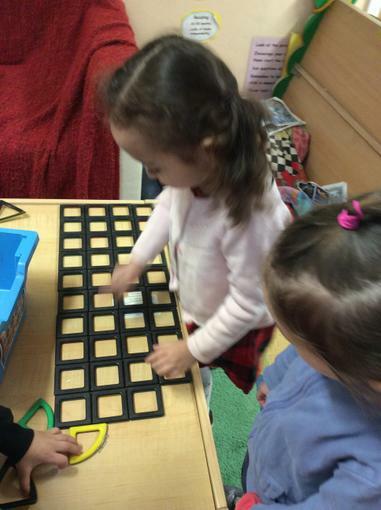 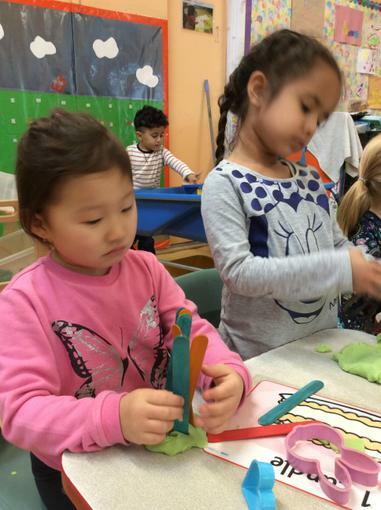 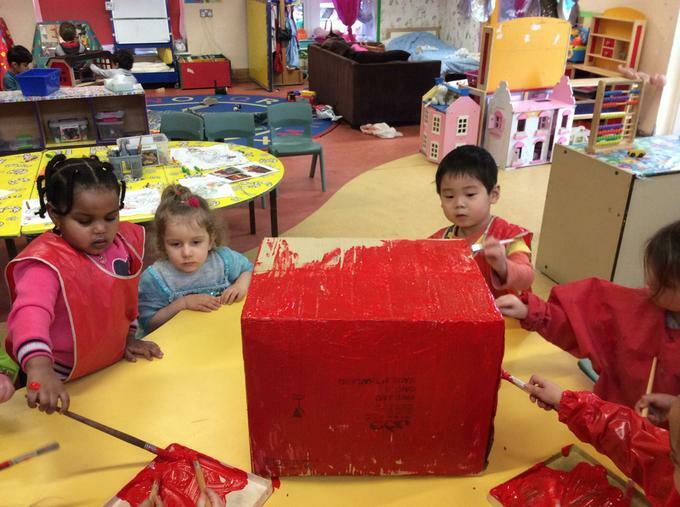 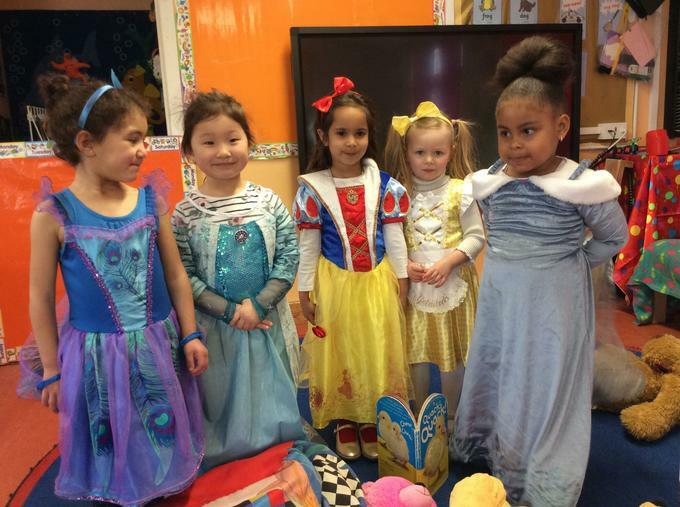 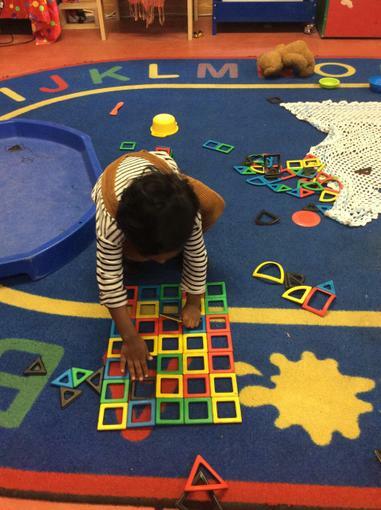 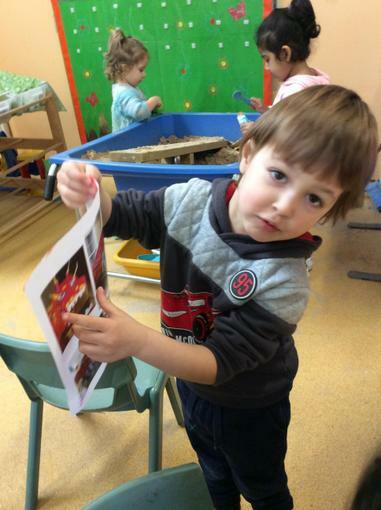 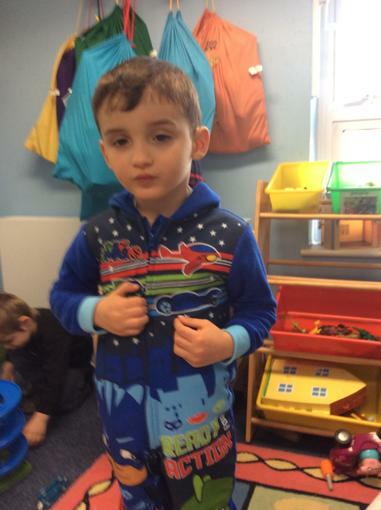 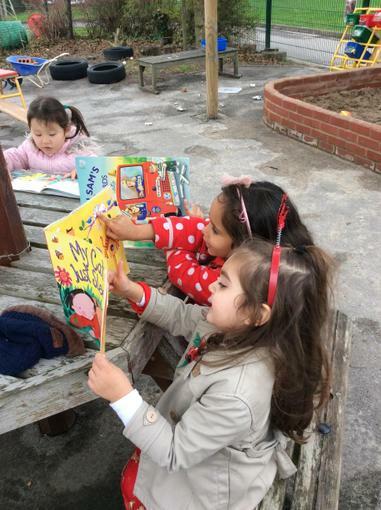 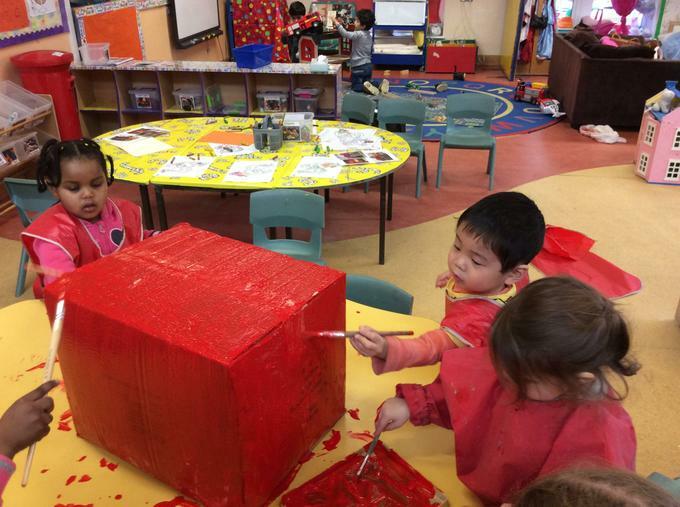 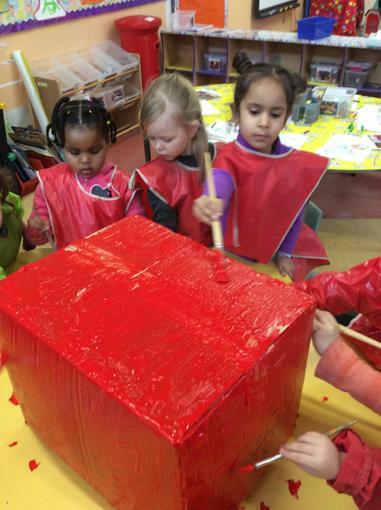 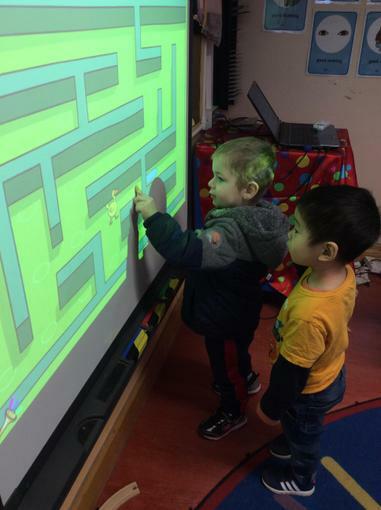 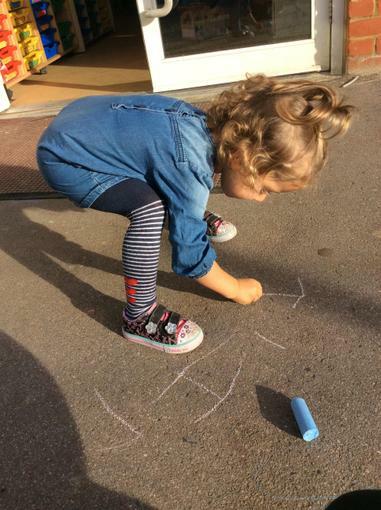 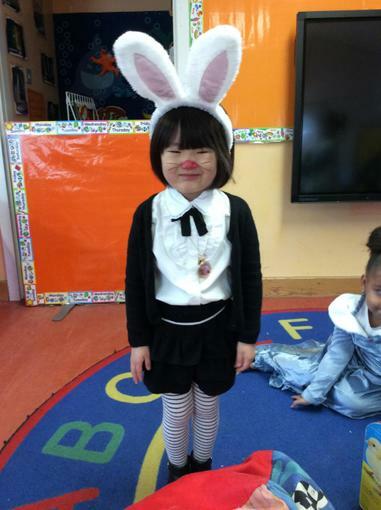 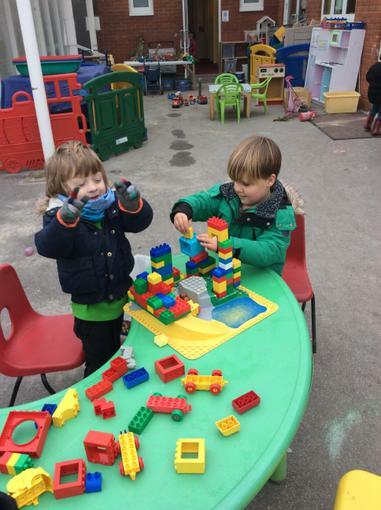 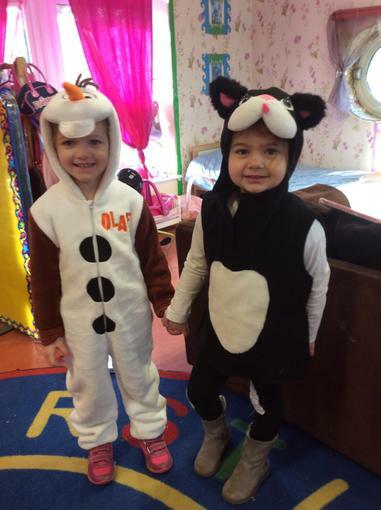 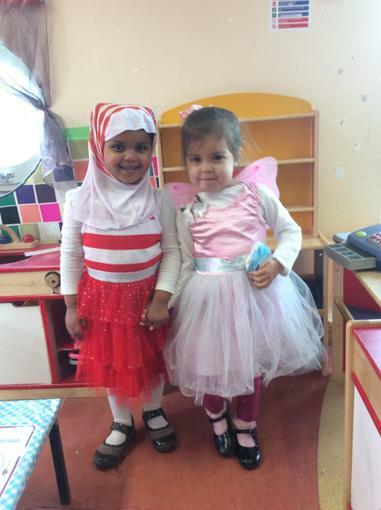 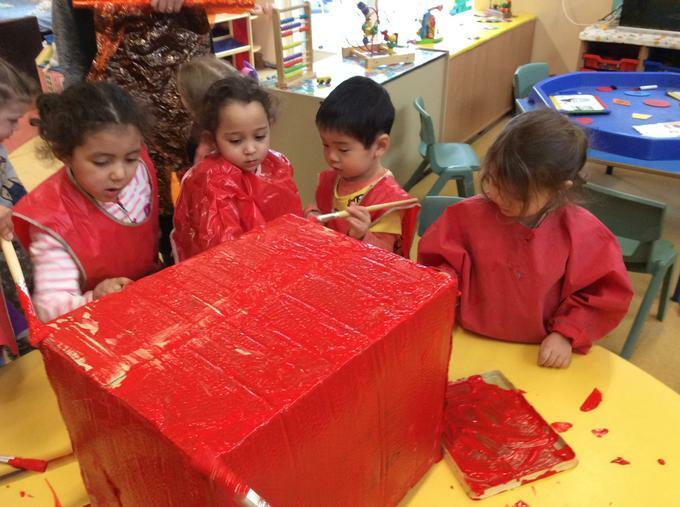 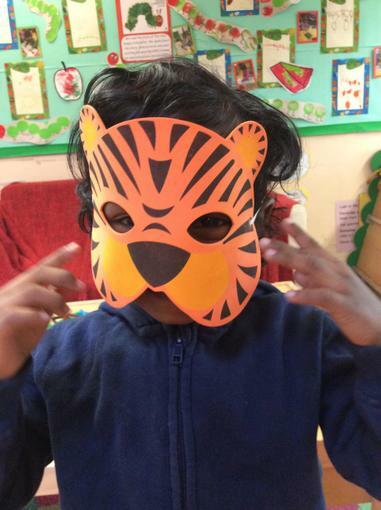 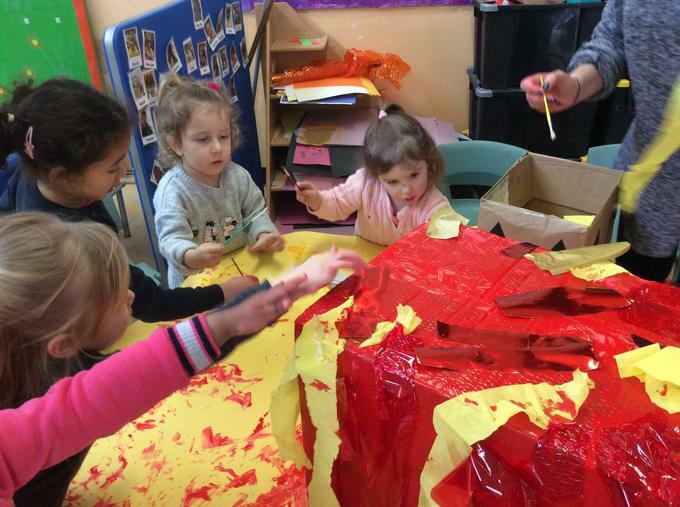 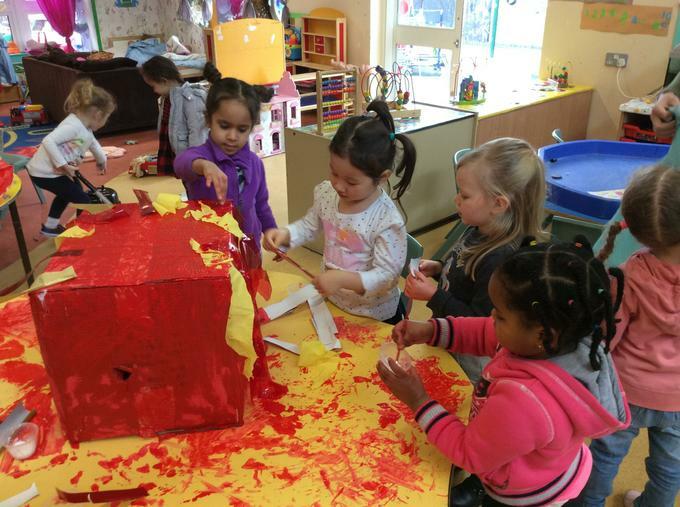 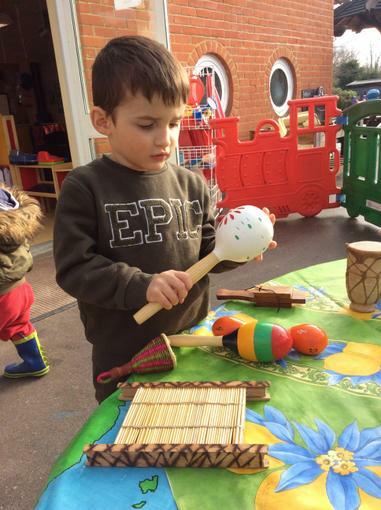 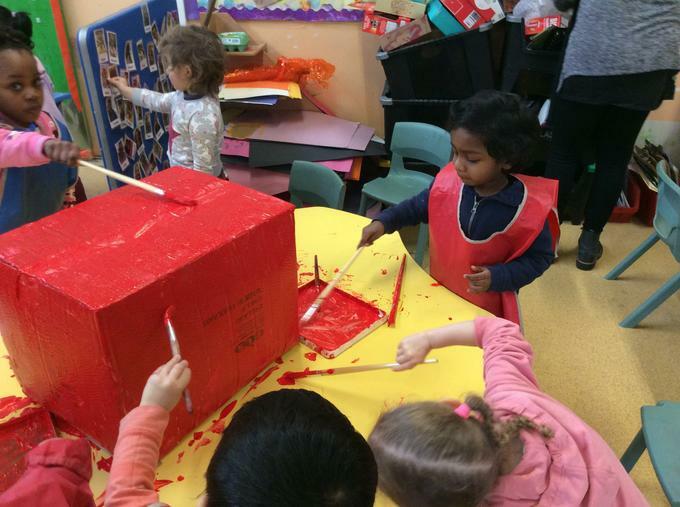 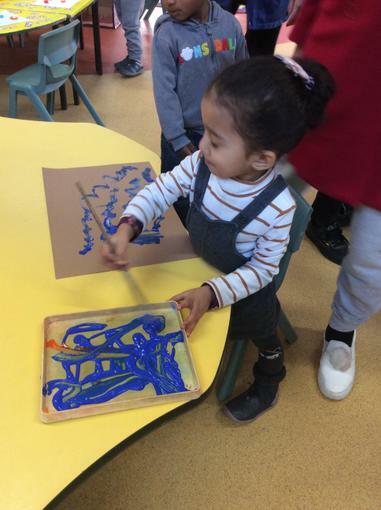 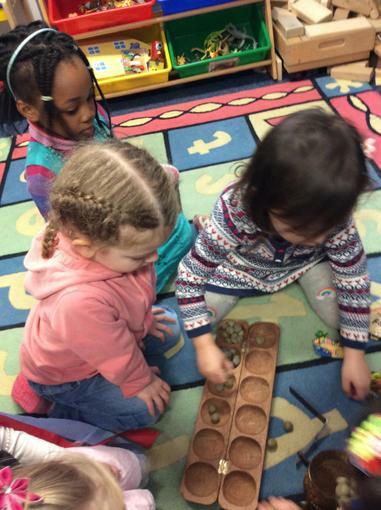 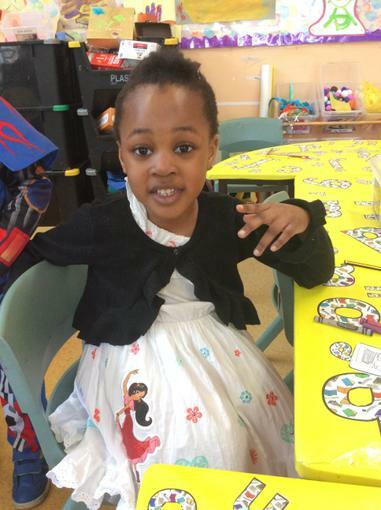 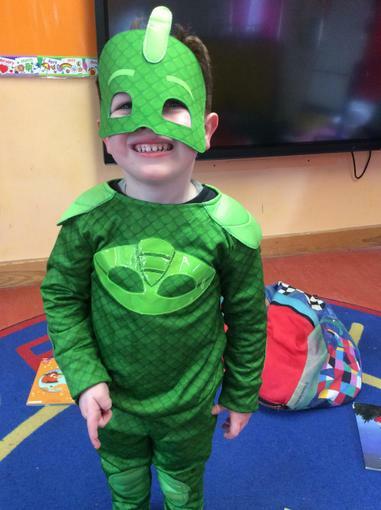 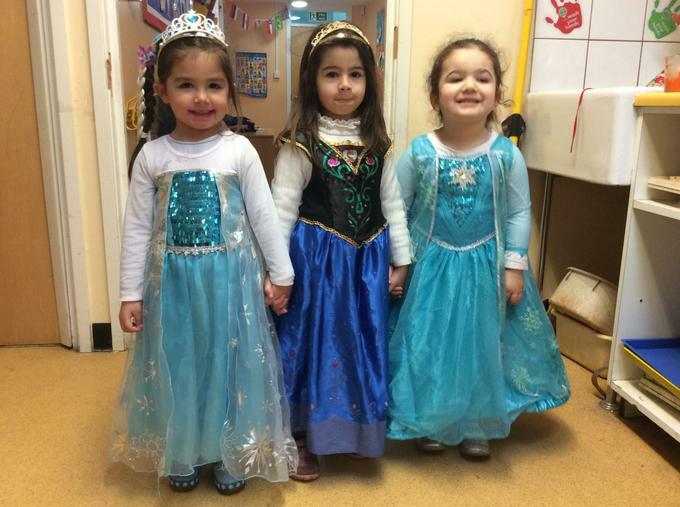 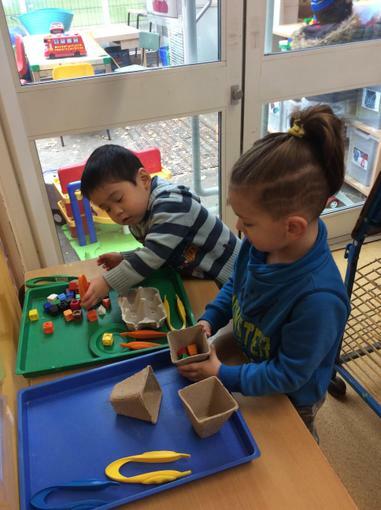 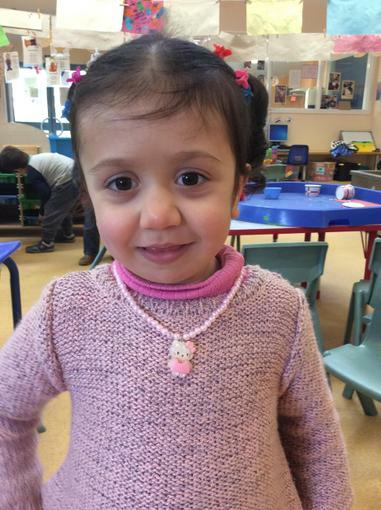 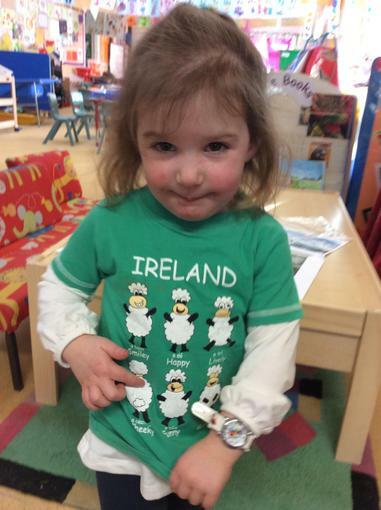 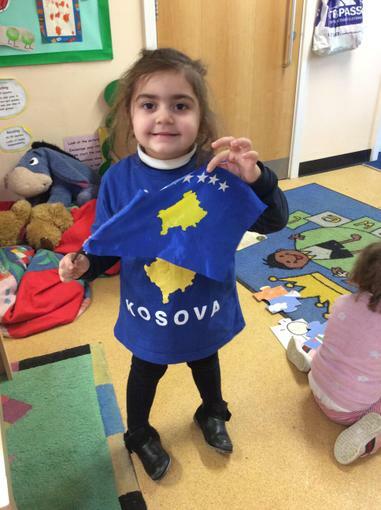 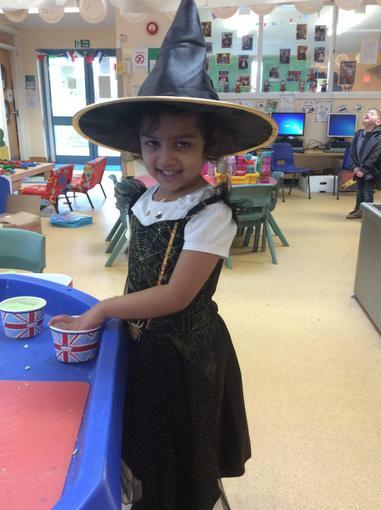 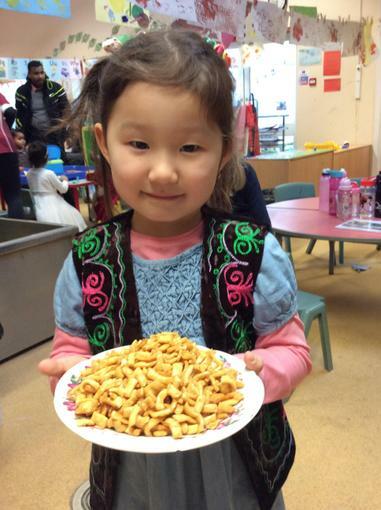 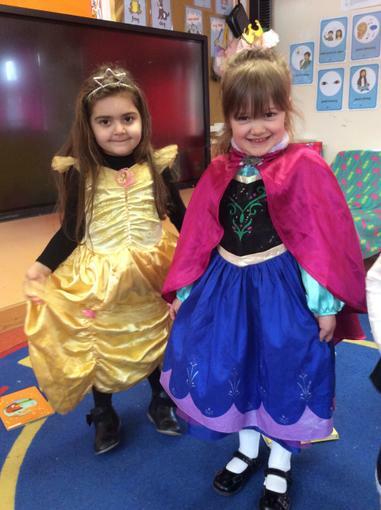 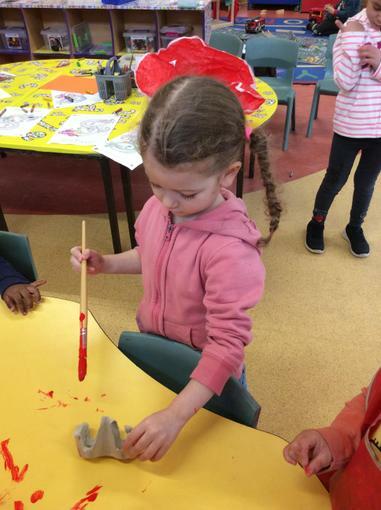 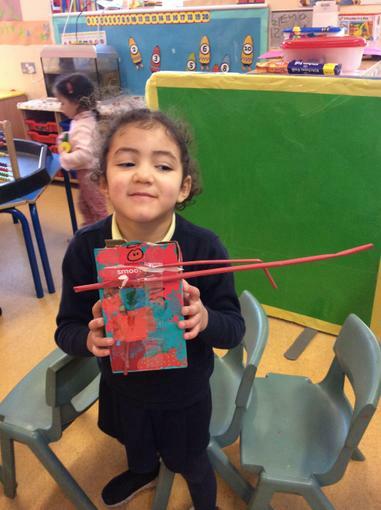 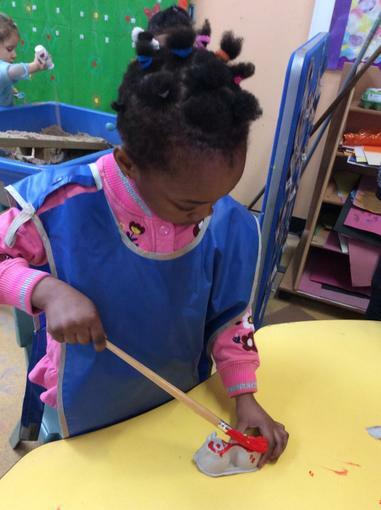 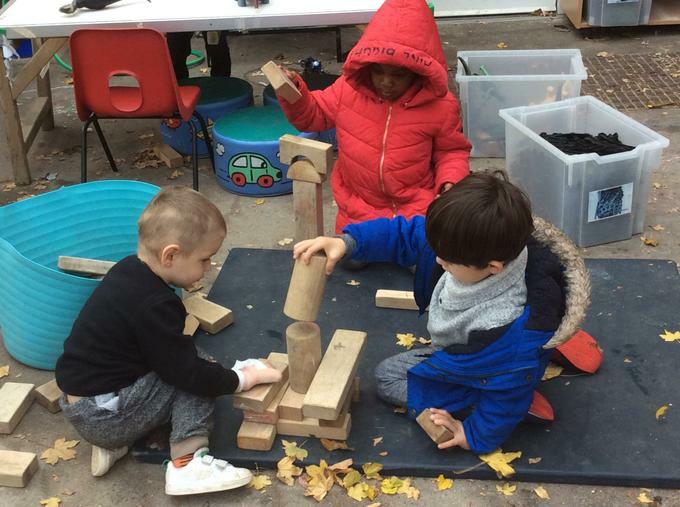 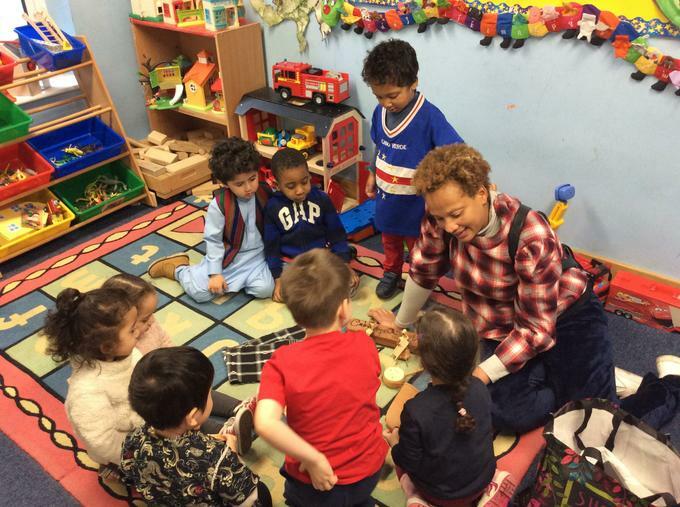 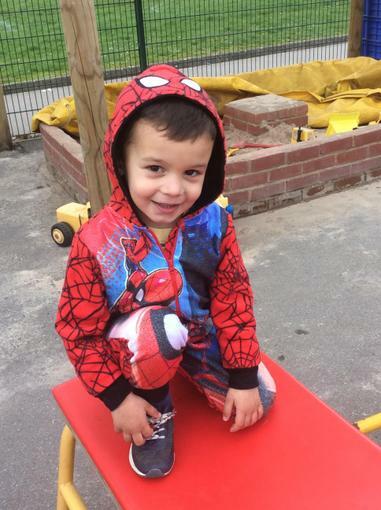 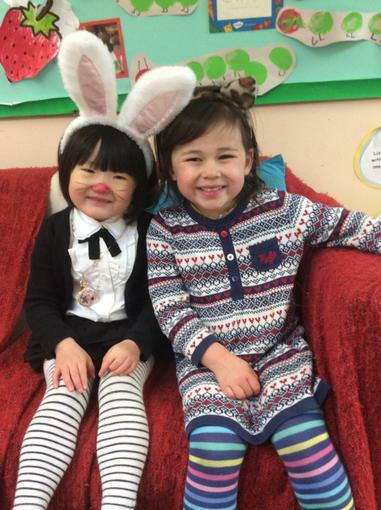 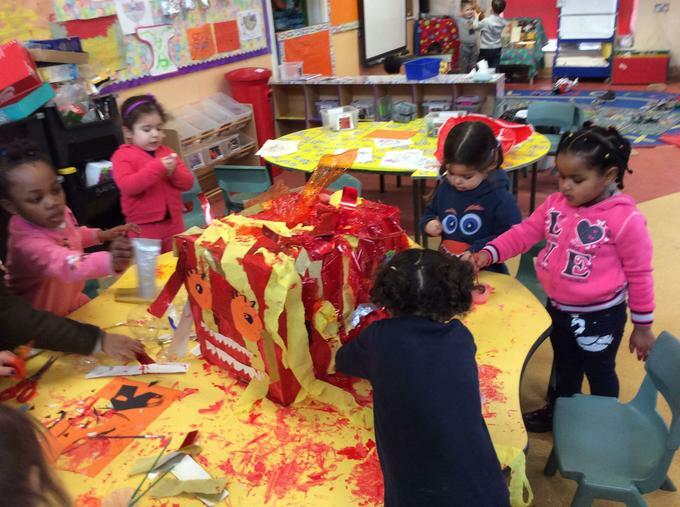 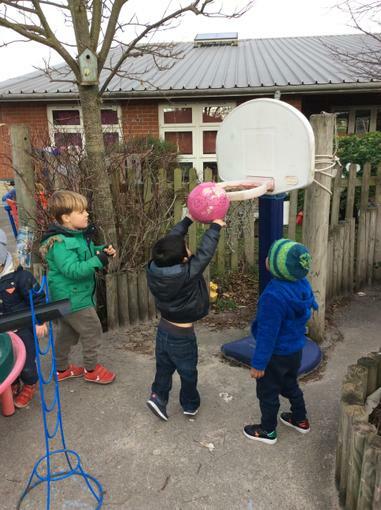 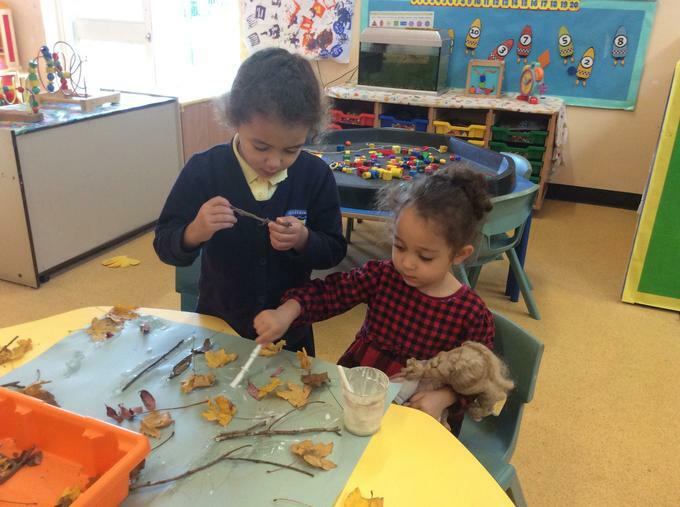 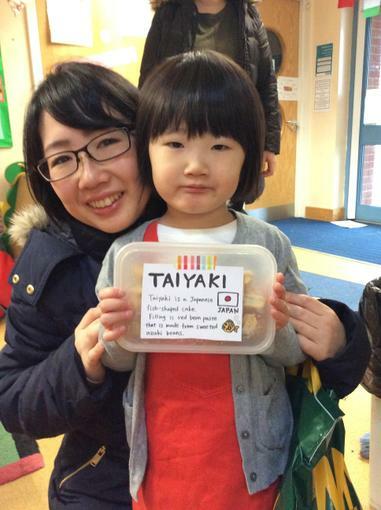 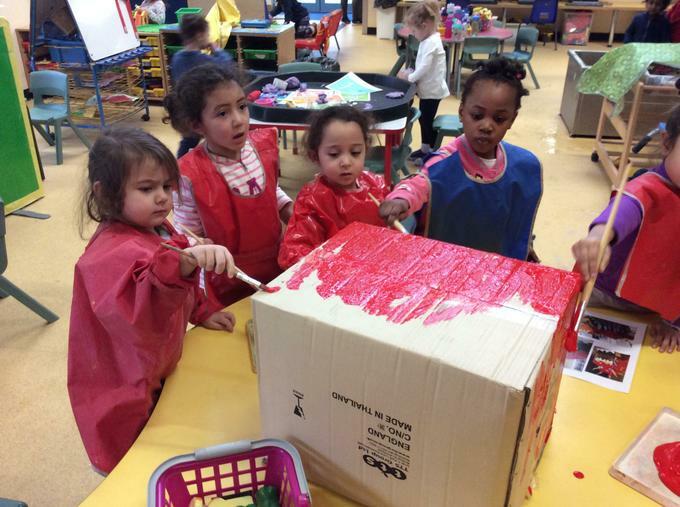 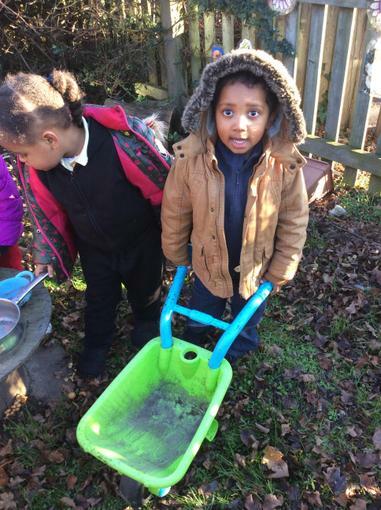 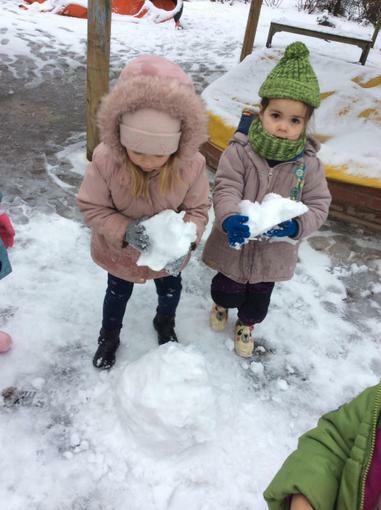 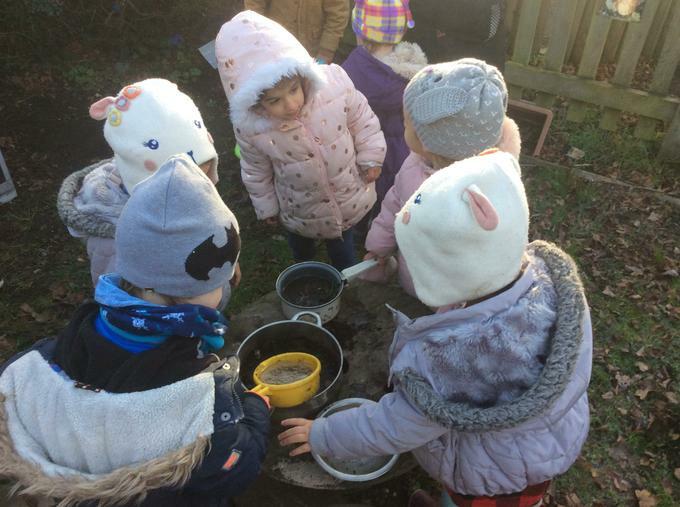 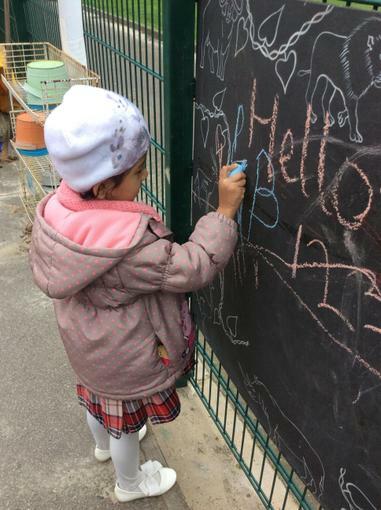 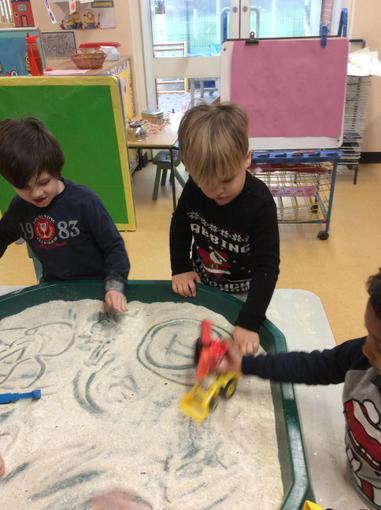 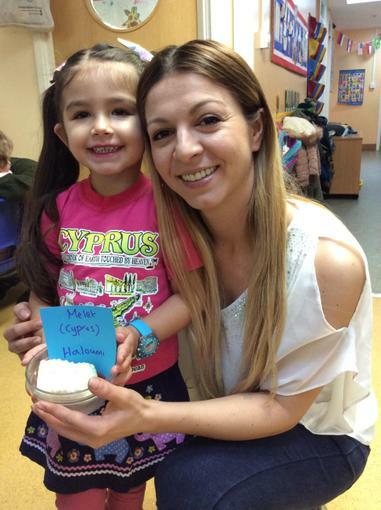 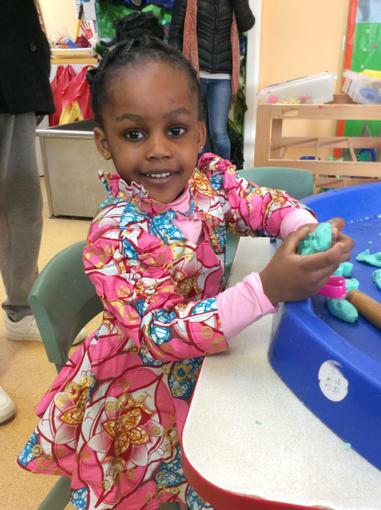 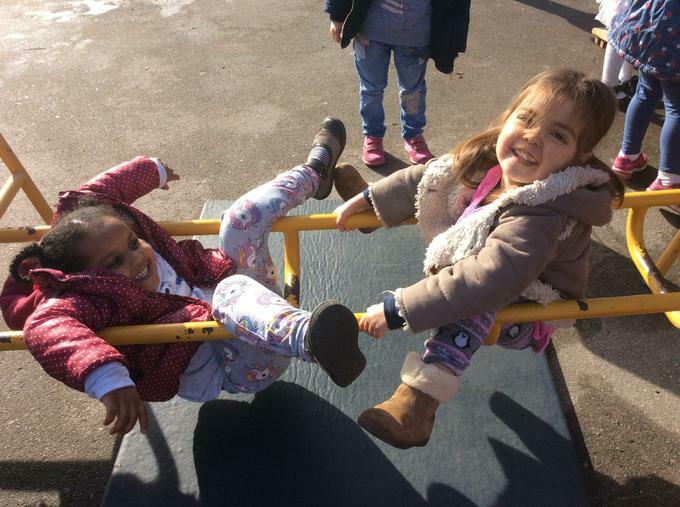 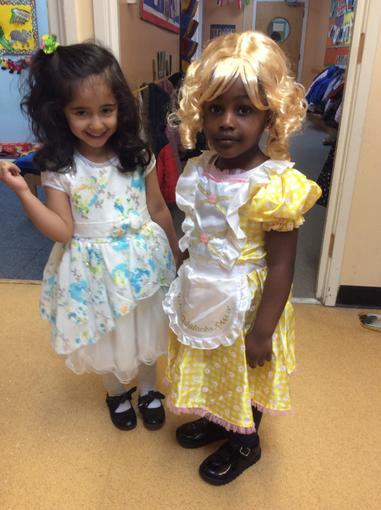 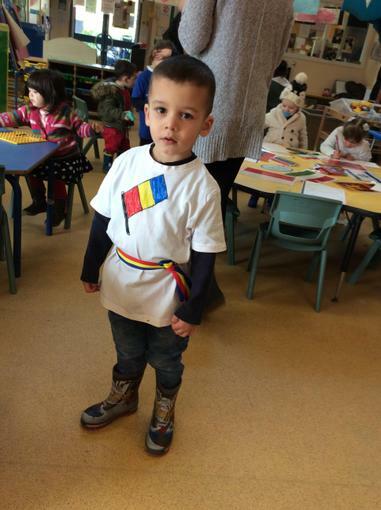 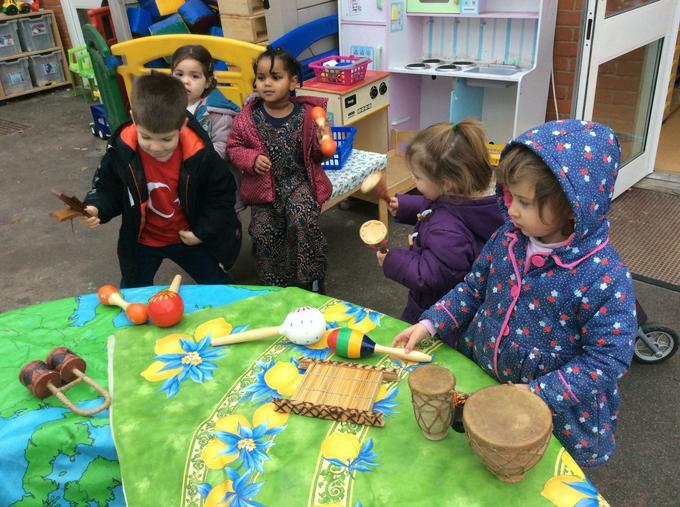 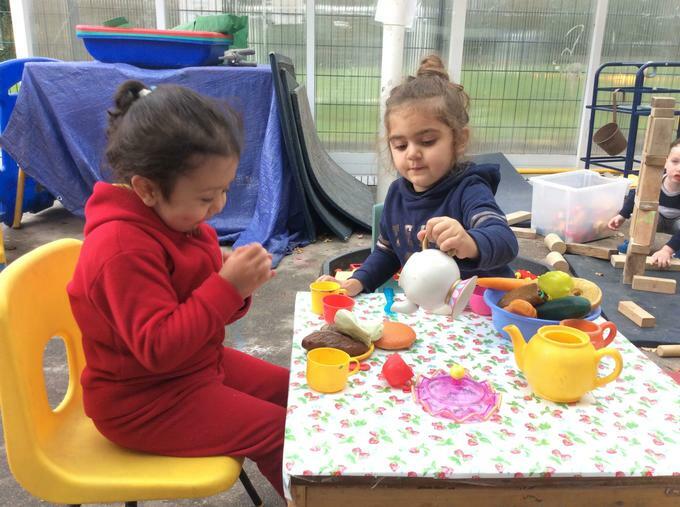 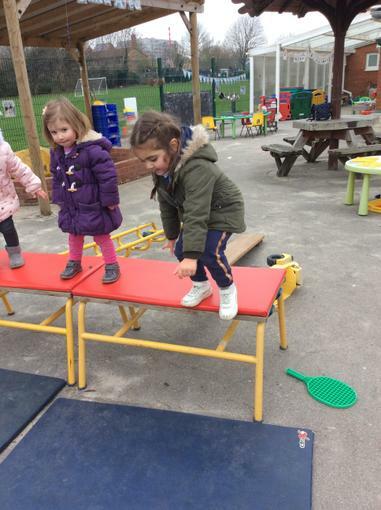 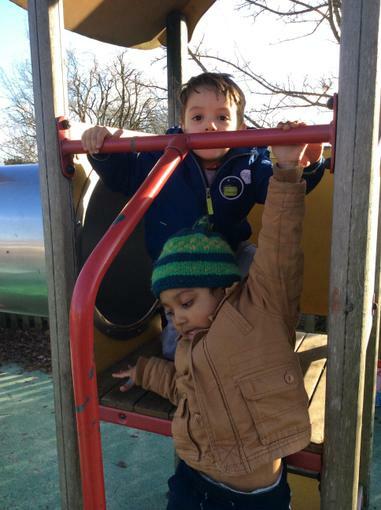 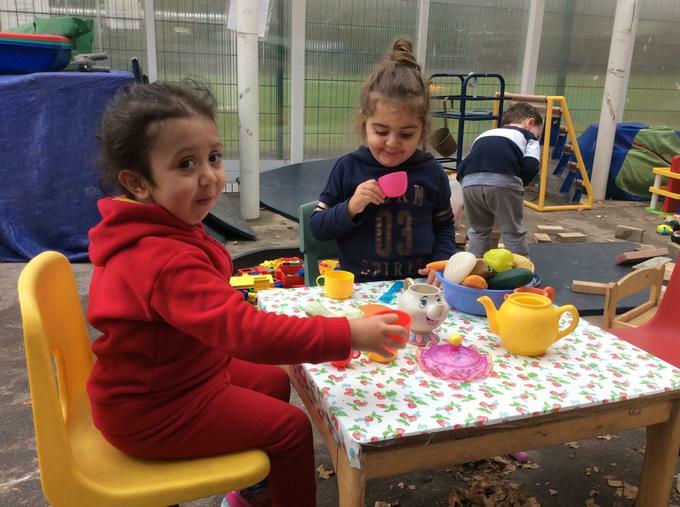 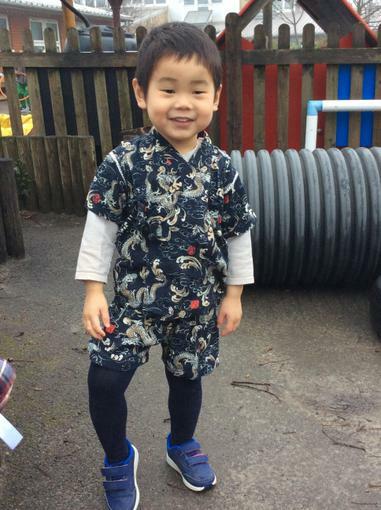 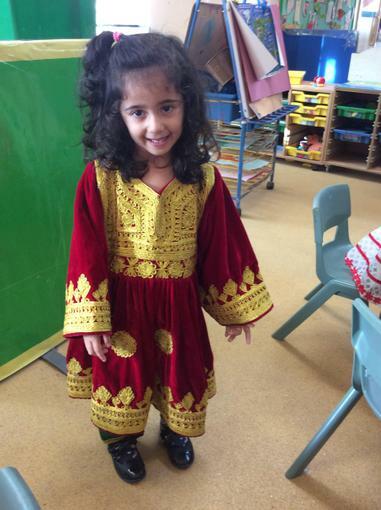 In Nursery we are involved in exciting and fun activities which are helping us learn. 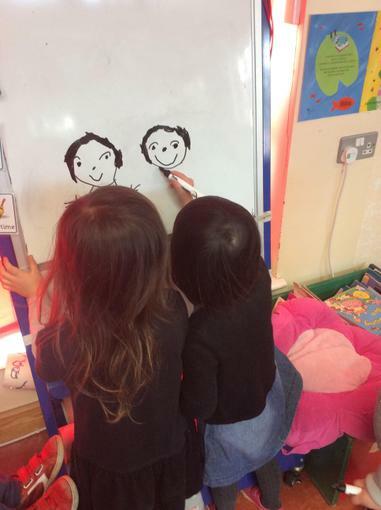 We are thinking about how to be friendly and kind, how to look after things in the nursery and how to share and take turns. 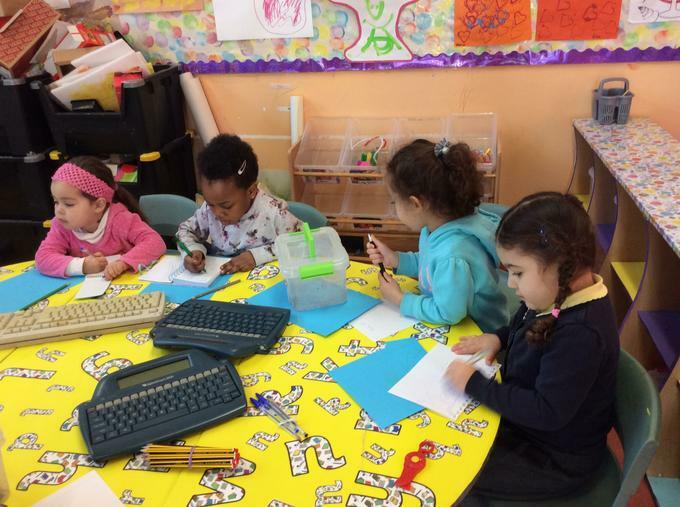 We love to draw, write, count and play games using numbers. 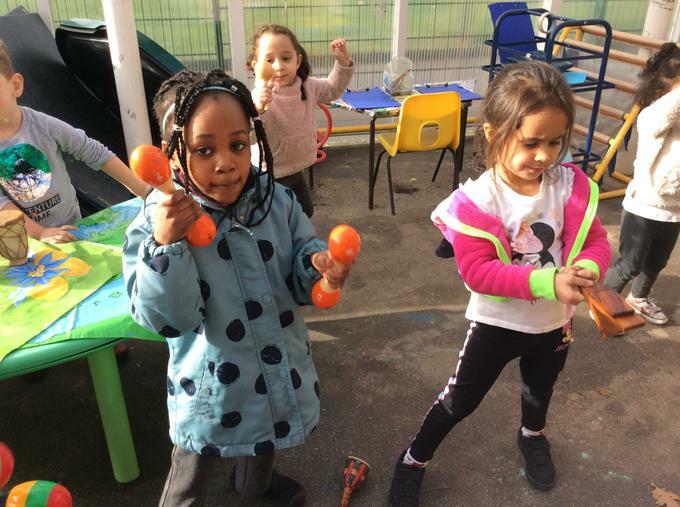 We sing, we dance, we share stories, we paint, we exercise and we are happy and busy learners! 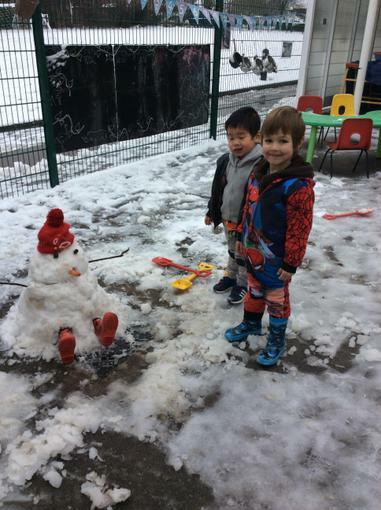 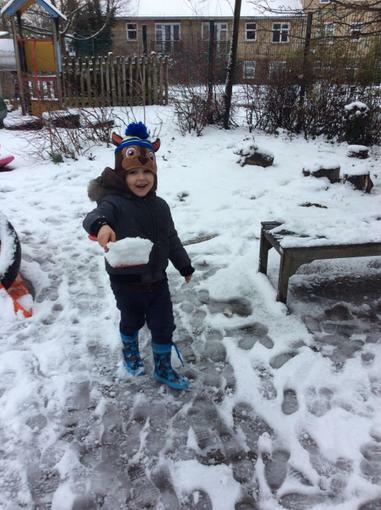 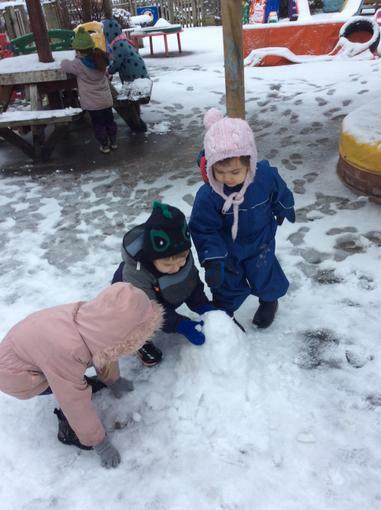 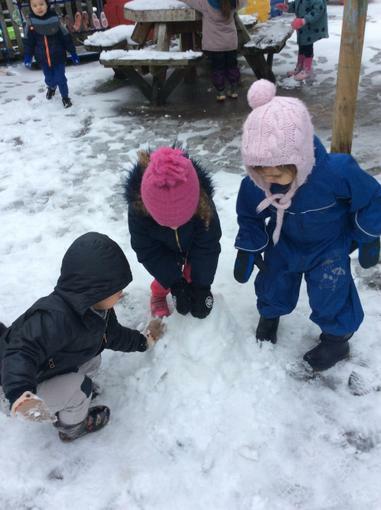 We were excited to discover that snow had covered our playground and we had lots of fun playing in it! 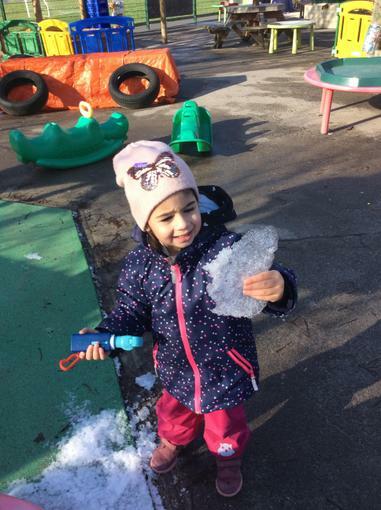 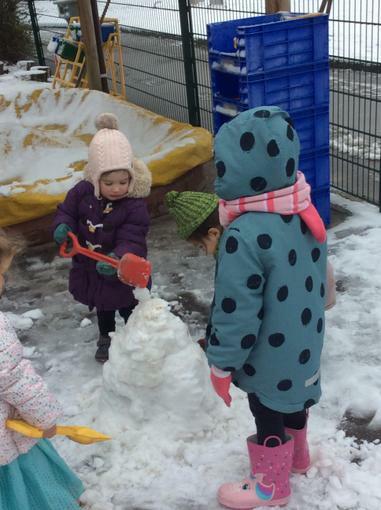 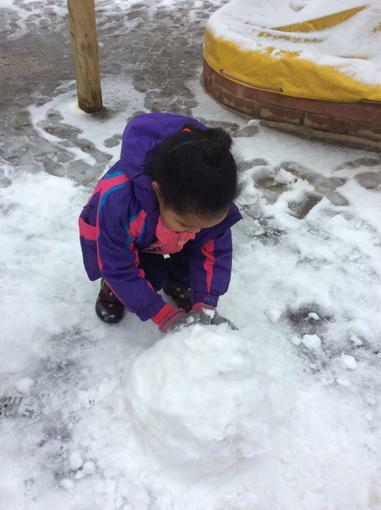 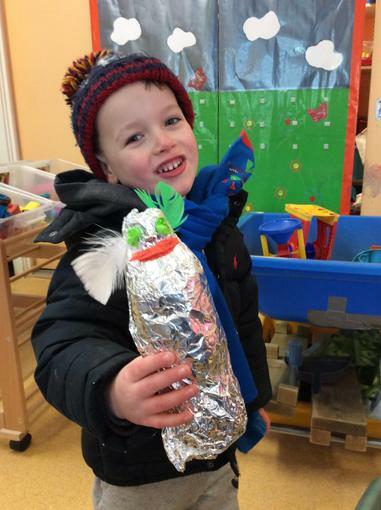 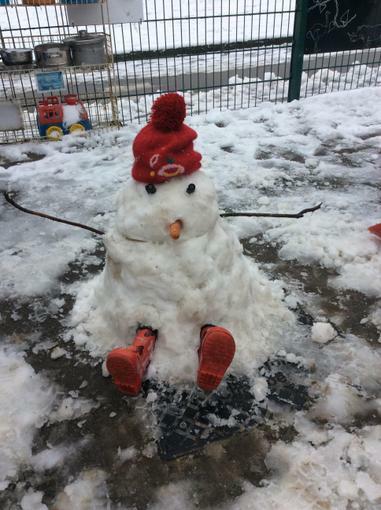 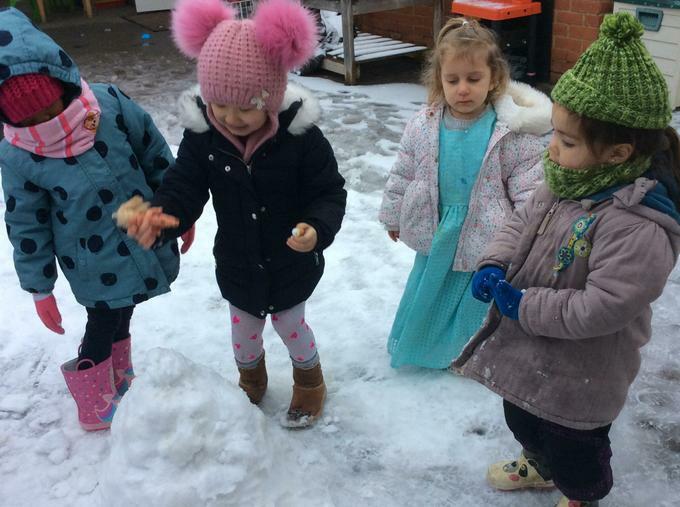 At the same time children learnt about the effects of cold temperatures and concepts of freezing and melting. 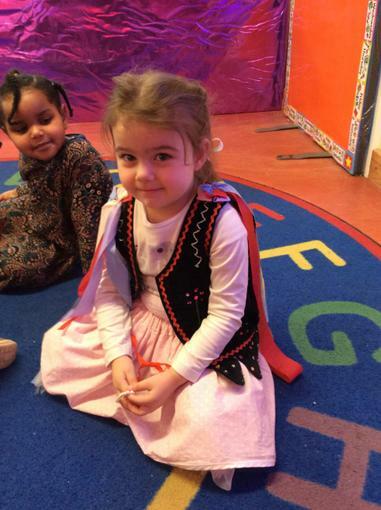 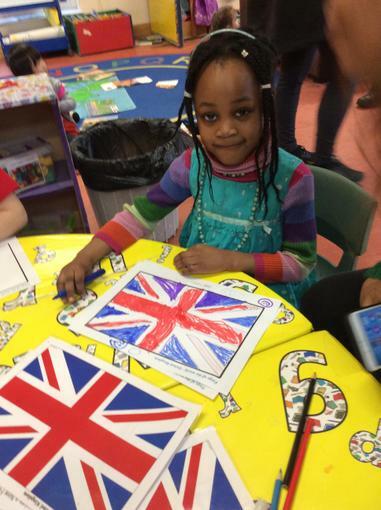 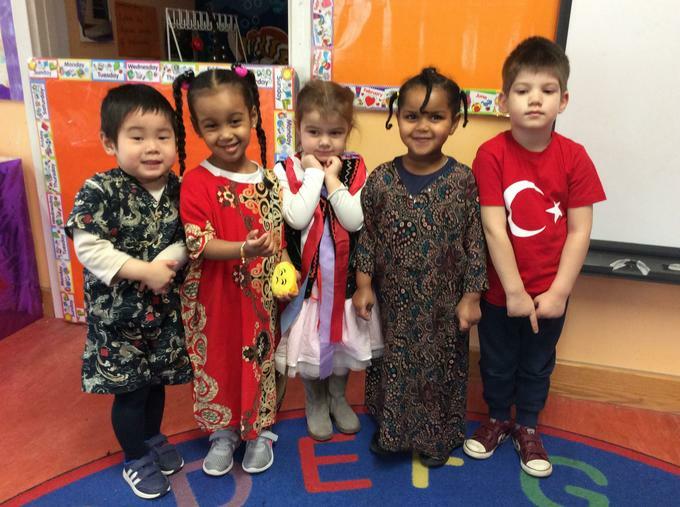 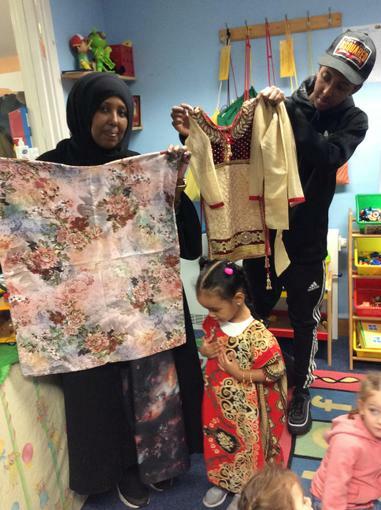 We had a busy and exciting Cultural Day, with costumes, food, clothes, flags, objects and music from around the world. 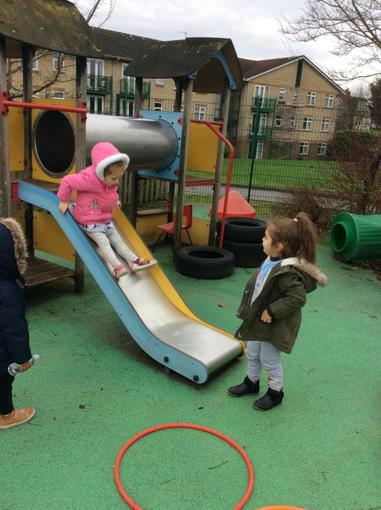 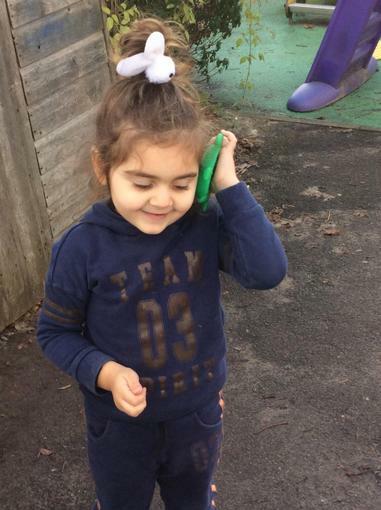 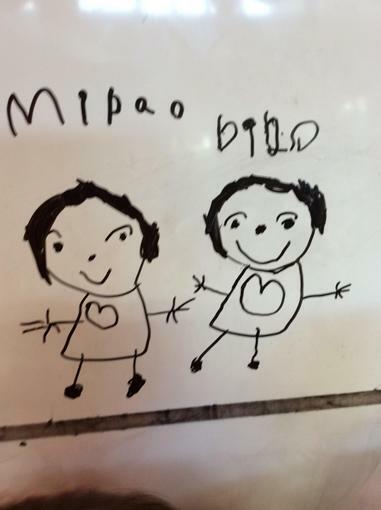 What to expect, when A guide to help you as a parent/carer find out more about how your child is learning and developing during their first five years, in relation to the EYFS.